Long ago, someone somewhere in the Sonoran Desert of North America made oil from the seeds of the jojoba plant. The scientific name for the jojoba plant is Simmondsia chinensis. Indigenous people used jojoba seeds and jojoba oil in cooking, as a medicine and for cosmetics. They used jojoba oil to treat sores and wounds, as a salve on burns and even as an emergency as appetite suppressant. Jojoba oil's natural versatility makes it immensely beneficial in particular for skin care in the modern world. Jojoba oil differs from most other plant-based oils. There are scientific descriptions of the unique chemical make-up of jojoba oil, but a little history paints a better picture of why jojoba oil became a common ingredient in health and beauty care products. Jojoba oil is very similar to sperm whale oil. At one time, cosmetic and skin care products commonly contained whale oils. After many countries outlawed or banned whaling, versatile, inexpensive jojoba oil filled in for whale oils. − Cosmetics (especially those marketed as made with "natural ingredients"
The jojoba plant is important in land conservation and agriculture. Jojoba plants are cheap and low maintenance perennial plants, and they can do a lot for land and soil conservation. Jojoba oil may help to prevent mildew problems in crop growing. There is even talk of using jojoba oil to run engines because it produces fewer pollutants and performs just as well as diesels (during combustion in an engine, jojoba oil releases a lot of energy and it remains chemically stable in engines). Jojoba oil is especially well suited for treating skin problems, likely because of its similarity to the sebum that occurs naturally in our own skin. − Jojoba oil used by itself is a conditioner for the skin or hair. It removes hair product residue and rehydrates the hair . It is a great skin conditioner for people of all ages. It works well as a cleanser because it gently unclogs pores and cleans away dirt. Jojoba oil is a non-comedogenic. One acne treatment involving jojoba oil is a clay jojoba oil facial mask. Since it has anti-inflammatory properties it may work as an acne "spot treatment" when mixed with tea tree oil. 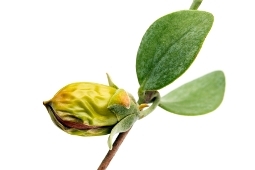 − Jojoba oil is also a treatment for psoriasis. − Jojoba oil aids in the healing of sunburn, chapped skin and other skin ailments. − Jojoba oil is a component of some toothache remedies. − Jojoba oil helps the healing of wounds and may help lessen the appearance of other skin lesions such as stretch marks. − Jojoba oil may even help prevent balding. According to the Encyclopedia of Alternative Medicine, jojoba oil can moisturise the follicle of the hair and may reduce the amount of hair tangles you experience. If there is an excess amount of sebum produced by the skin, jojoba oil may break it down resulting in cleaner, healthier hair. − Jojoba oil is edible but it will pass right through the system, as it is non-digestible, so it may not be a good choice for cooking as it may cause stomach upset. The fact that jojoba oil is indigestible has led to discussion of its use as a weight loss aid. Jojoba oil is an amazing, versatile substance. Copyright © 2014 www.jojobaoilbenefits.com.au. All rights reserved.